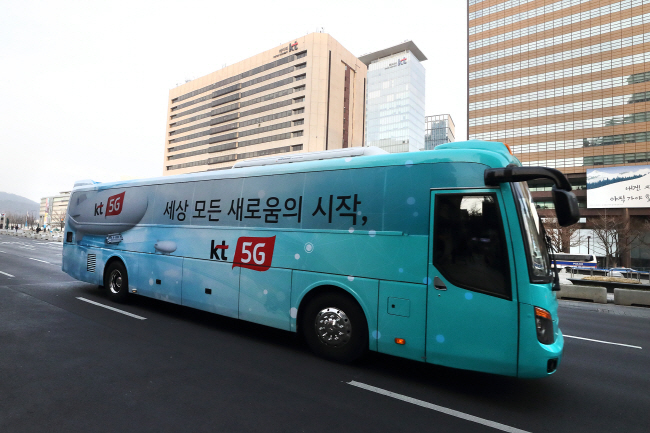 SEOUL, Jan. 16 (Korea Bizwire) — KT Corp., South Korea’s biggest Internet service provider, on Wednesday highlighted its capability to deliver fifth-generation (5G) mobile network service with a specially rigged bus in central Seoul. The 10-seater bus allows passengers to experience next-generation technologies, such as virtual reality (VR) and augmented reality (AR), through the 5G network, which is up to 20 times faster than the existing 4G network or long-term evolution. KT kicked off the bus service on Monday, with the bus traversing an eight-kilometer route that leaves from Gwanghwamun Station five times a day. The bus experience is aimed at providing a real glimpse of the latest technology to the general public as KT and the country’s other wireless carriers are set to launch the world’s first 5G business to customer (B2C) service in March. “Customer response has been tremendous as the trial bus was operated to relieve the curiosity over what can be done during a 5G era,” a company representative said. The bus is equipped with VR headsets that provide live multi-channels in real-time with a 360 degree viewing angle. Contents range from K-pop dramas to music. 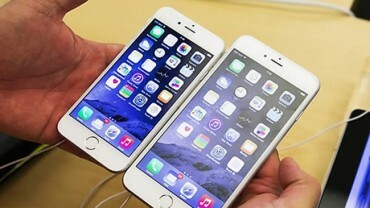 Users are also able to check out various contents without any concern over interruption in streaming or a slowdown in Internet speed on a moving vehicle. Industry watchers said that VR and AR service are very sensitive to network performance, citing the importance of stability in 5G network to support these kinds of applications. The bus will run until Jan. 24 and operate another route in Gangnam, southern Seoul, between Jan. 25 and Feb. 2, KT said, adding that all the tickets for the seats have been sold. “Customers will be able to experience better 5G when KT officially kicks off 5G B2C service in March,” the company official said.